When Coming to the world-renowned capital, everyone needs London transfers. Central London is the beating heart of Britain’s cosmopolitan capital; the place with the high historical significance, where you can find an exciting mix of culture, tradition, innovation, nightlife, and commerce. Of all British landmarks, here you can find some of the most imposing ones for sure, as well as a distinctive sample of the most elegant and palate-pleasing restaurants and impressively exquisite art galleries in the UK. The London Bridge, London Eye, Globe Theatre, Buckingham Palace, Tower of London, British Museum, and Westminster Abbey have rightfully earned their place on every traveller’s list. Now, there are two ways to experience London as a tourist- the stressful and sweat-shedding way and the relaxing way, where transport from the airport to your hotel and around the city is no longer challenging. 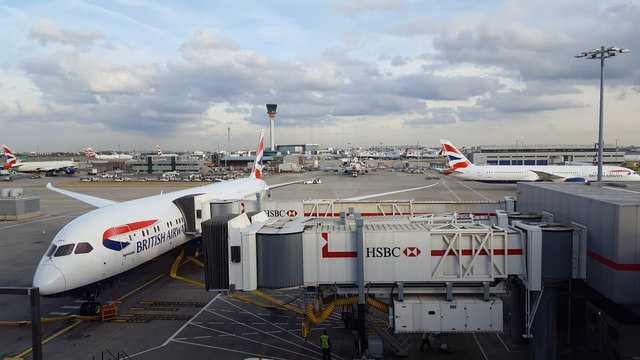 Imagine landing in London after a multi-hour flight that may have also included some serious waiting for connecting flights. Then comes lugging bags throughout the airport and public transit, and then some driving around in jam-packed roads taking bus after bus (or train), until you finally reach your hotel more exhausted than when you got off that plane a few hours ago. A familiar scenario for many travellers indeed; a scenario that is capable of ruining your idea of the best vacation or stay in the beautiful, yet always so crowded, Central London. Or, you could have your comfy car and friendly chauffeur patiently waiting to collect you at the airport, right after you pick up your bags and are through with the arrival procedures. Your experienced driver is at the terminals area, ready to help you with your luggage and drive you to your hotel. It takes around an hour to drive from Heathrow to Central London, depending on whether you hit the rush hour or not. Rest assured, though, your driver will find the shortest and less traffic-packed road possible for you. If you feel that this scenario is only for the few rich and loaded, we suggest you reconsider! Here is why recommend London transfers. You only need to plan your transfer ahead with a reliable and trustworthy minicab company like Transfer London Minicabs – the new game changer on the block. Then, leave the rest to us. Every part of the Transfer London Minicabs experience, from our professional, CRB-checked drivers and dedicated personnel to our stellar fleet of vehicles, has been designed around your security and safety because we put people first. We cover East & Central London and can take you anywhere, anytime. And, all that, at the best fares around. • High-quality services available for all your transfers on a 24/7 basis. • FREE Wi-Fi in all our vehicles. • Transfers from and to all UK airports.FREE Waiting time. • Child seats (on demand). • A fleet of comfortable vehicles – from 4 to 9-seaters that have undergone all necessary checks to provide a safe and secure travel for you and your loved ones. • Passenger Assistant (upon demand). • Discounts to those booking online offered at regular times through our website. • Instant confirmation by email or SMS per request. • Friendly operators ready to help if you require any assistance with the booking or any other concern you may have. If you have any questions or queries, please contact us. We will be happy to serve you!